Crafted using premium, organic, super-soft Turkish cotton. 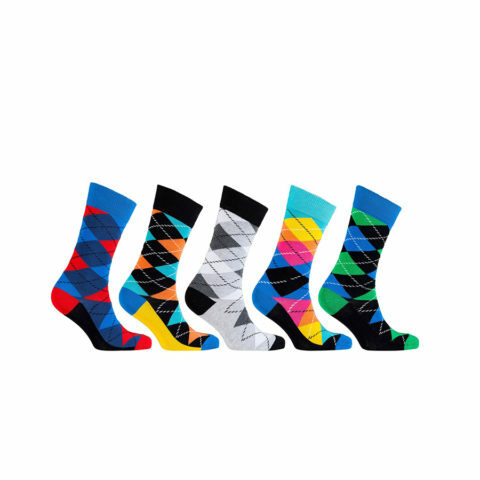 Five pack of colorful mens socks! 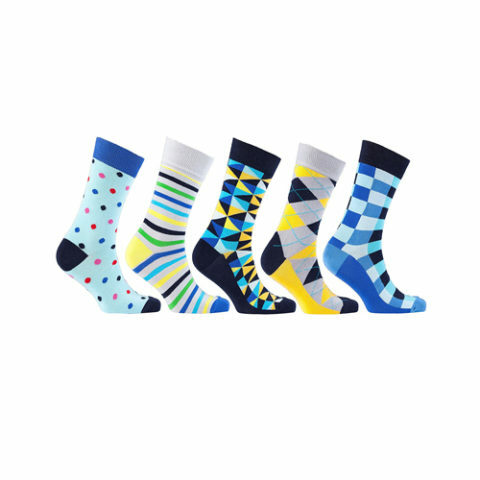 This five pack of dress socks adds a fun color blast to any wardrobe. 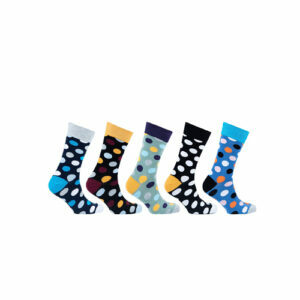 The pack of five men’s socks are crafted using organic Turkish cotton. And feature a combination of thin and thick stripes with vibrant color combinations. 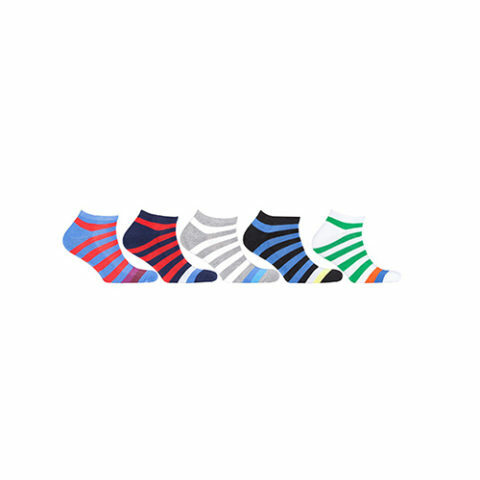 These premium socks for men are a must have for casual wear and can also be easily inserted into a business wardrobe. 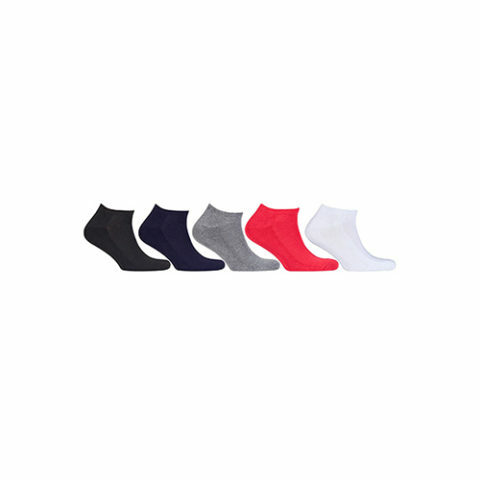 These premium dress socks are made with an exacting blend of 80% Turkish Cotton, 18% Nylon, and 2% Spandex. 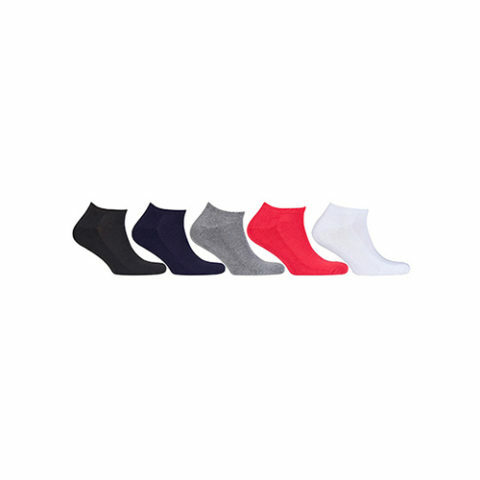 This combination allows for a super-soft feel, natural breathability, and a perfect stretch fit. The design includes a reinforced toe for added durability! 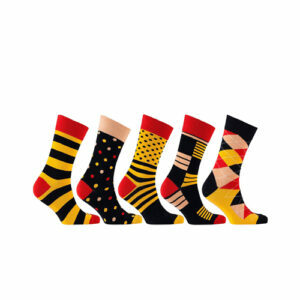 These premium men’s socks are a must have for any wardrobe. The packaging is perfect for gifting as well.